"And in all of nature, in trees for instance, I see expression and a soul..." Vincent van Gogh, 10 December 1882. 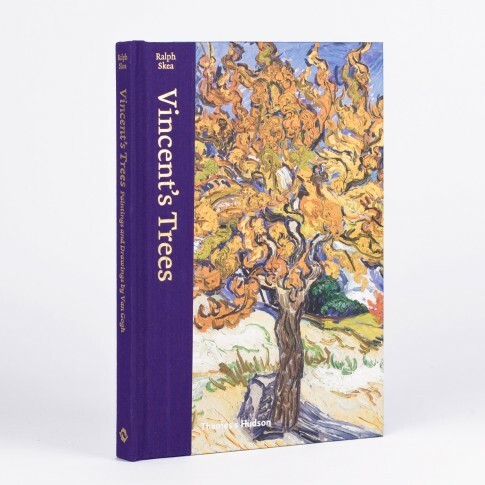 This richly illustrated book traces Van Gogh's development as a painter of trees, from the distinctive pollard willows of his home province of North Brabant to the cypress and olive trees of Provence to the parks of Paris. Writer Ralph Skea discusses Van Gogh's early life in the Netherlands; his first tree studies in the Dutch landscape; his paintings of trees within townscapes; his particular fascination with orchards, which led to some of his best-known and most loved paintings; and the works he completed in rural Provence. From delicate drawings in pencil and ink and subtle, Pointillist-inspired paintings to stylized, boldly colored depictions of single trees, groves, and landscapes, the oils and sketches reproduced here are a testament to the artist' poetic sensibility and great talent in capturing nature. English edition, 209 pages, 75 illustrations.